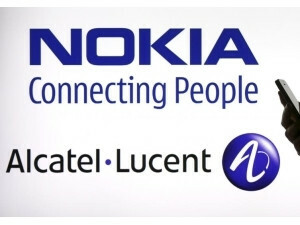 The combined businesses of Nokia and Alcatel-Lucent will see Nokia become the second largest network provider after Ericsson. Finnish network equipment maker Nokia expects to complete its transaction to acquire a majority share in Alcatel-Lucent early next year. This is the word from Nokia's head of marketing and corporate affairs for Middle-East and Africa, Joachim Wuilmet, who says a new entity will be formed as soon as Nokia owns over 50% of Alcatel-Lucent. "We anticipate and expect this transaction to be closed in the first quarter of 2016," Wuilmet told ITWeb. Wuilmet adds: "This is a transaction that required us to seek all regulatory approvals and we have successfully completed that stage. We are proceeding with the exchange offer on the French and American stock exchanges." In April, Nokia announced it was in advanced discussions to acquire French telecom equipment provider Alcatel-Lucent in an all-share deal worth $17.6 billion. At the time, Nokia said the acquisition is part of fortifying its telecom equipment business, as well as to put the company in the same league as market rivals Ericsson and Huawei Technologies. "There will be three very strong companies, namely Huawei, Ericsson and now Nokia, roughly in the same scale," says Wuilmet. According to Wuilmet, Nokia's move to acquire Alcatel-Lucent is simply towards convergence and consolidation of technologies and business. "Alcatel-Lucent's strong portfolio component, as well as its mobile wireless business in certain key markets, Internet Protocol and strong fixed assets, will allow us to offer fully converged end-to-end services." The Alcatel-Lucent acquisition will also give Nokia a strong complementary fit and access to new markets, he notes. "If you look back 10 years ago, there were companies like Nokia Networks, Siemens Networks, Motorola, Ericsson, etc. But when you look today, some of the companies don't exist because they have been integrated to other businesses. "Nokia has been very much a driving force in consolidating the industry because the industry requires massive investment in research and development (R&D). "R&D is one of the drivers for Nokia and Alcatel-Lucent to join forces and bring a combined entity that will have about 40 000 R&D engineers," he explains. Wuilmet says it is still too early to say there will be no reduction of headcount, but Nokia has committed to forming synergies with Alcatel-Lucent. "What we have committed is to bring 900 million synergies between the two companies by 2018. "We have not really gone through detailed plans of possible retrenchments but this is something which is likely to happen but the extent is still not known," he states. The merger with Alcatel-Lucent will see the creation of four Nokia business groups, namely mobile networks, fixed networks, applications and analytics, and IP/optical networks. According to Wuilmet, the goal is to acquire the entire share of Alcatel-Lucent and to fully integrate the companies. "A new entity will be formed as soon as Nokia owns over 50% of Alcatel-Lucent." The acquisition has been set up using a share exchange model, whereby every Alcatel-Lucent shareholder has the possibility to exchange and receive 0.55% of Nokia shares, he says. "We will own Alcatel-Lucent as soon as we reach majority share, so 50% plus one share. This is the stage where Alcatel-Lucent will become a subsidiary of the Nokia Group where we will be able to operate as one company. "The New Nokia (as we call it) will keep Nokia as the major brand, the headquarters will remain in Helsinki and the governance model will still be inspired by Nokia's current model of operation." However, because of French law, Nokia will only be able to fully integrate the company when Nokia reaches 95% of ownership, where the last 5% can be squeezed out, he says.